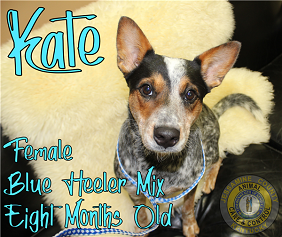 KATE is an 8 month old Blue Heeler mix pup from Kentucky. She is still young & small…. KATE has so much pup potential. Someone who will devote the time to training her with positive reinforcement, consistency and patience will have an INCREDIBLE canine companion.